Many world countries want permanent seats in the United Nations Security Council (UNSC). So, initially it is better if Brazil, Germany, India and Japan (G 4) drop the demand for Veto Power for getting permanent membership in the UN Security Council. But the supporting countries are more interested in the UN Reform than in the expansion of UNSC now. Also, though India has bright chance, the African Union that demands two permanent seats has to be satisfied too. So, the UNSC expansion is not going to be immediately possible, it seems. The UN High Panel Reform Committee has suggested in its Report that inclusion of only one or two permanent and 8 non-permanent members can make the UNSC effectively workable council. Permanent member countries are not interested in the expansion of UNSC from 15 to 25; but they believe 20 will be effective as more members will make it divisive and unviable for effective work. The purpose of making UN Reform now is to make it democratically more effective and powerful to perform its functions. The world security lies in the hands of the permanent five member countries, which is not fair. So it is necessary that UNSC should be expanded with reasonable number of representatives covering all the key nations of the world. Also, since it is concerned with the world security, the new member countries should be advanced, developed and powerful economically, technologically, militarily, politically and socially, which means that wide possible agreement of countries is imperative in this matter. 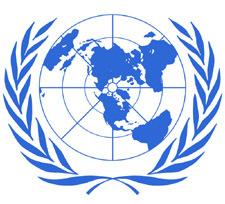 According to USA it is said that America likes to seek support on UN Reform for Economic Budgeting and Management, establishing Peace Keeping Commission, Human Rights Council, Democracy Fund, Democracy initiative within the UN and countering Terrorism and Non-Proliferation before taking up the issue of UNSC expansion. Also, the American criteria for selecting permanent members in the UNSC would be Economic Size, Population, commitment to Democracy, Financial Contribution to the UN and Contribution in Peace Keeping, Record on Non-Proliferation and fighting Terrorism. So, on analysis, it can be inferred that India and Japan are suitable for permanent membership and countries like Brazil, South Africa, Egypt, Turkey, Romania, Kazakhstan, Indonesia and Australia are suitable for non-permanent membership in the United Nations Security Council.